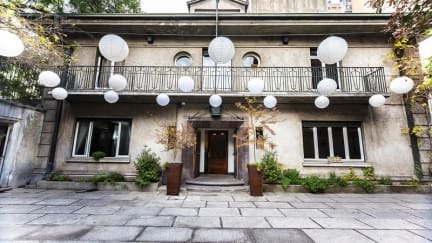 La Casona Hostel, Santiago, Chile : Rezerwuj teraz! In this beautiful house you have spacious common areas and quality service, always attentive to your requirements. You will feel at home, all in a comfortable and pleasing atmosphere with the best vibes. A beautiful place designed for travelers, that rather than a simple trip, they look for a new experience. La Casona Property is a place located in the heart of Barrio Bellas Artes, where you will find tranquility, security and a good rest in the best location in town. We have spacious common areas and a quality service that will make you feel at home, especially in an environment full of good vibes. 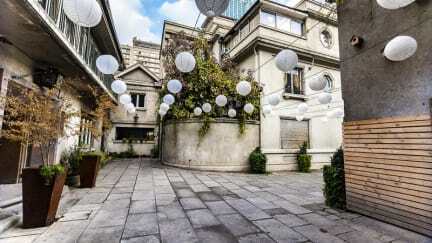 Barrio Bellas Artes, right in the city center is one of the best neighborhoods of Santiago, a place where they fuse art, history, and cuisine Bohemian Santiago. Just steps from Bellas Artes subway, taxi service 24 hrs. and where all the main attractions are within walking distance from our property. Parking is available only if you have a booking confirmed. You have to send an email to hola@lacasonahostel.cl asking for a place at the Parking. The cost is USD 10 per day. Cancellation Policy: 2 day prior the arrival, otherwise we will charge 100% as penalty.